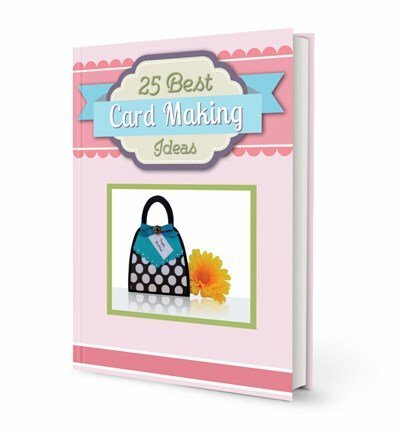 Create simple handmade birthday cards with these quick and easy ideas. If you're pressed for time, making birthday cards that are simple but elegant can be a lifesaver. 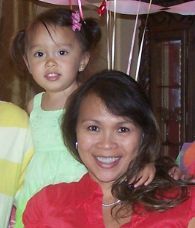 When making birthday cards, you don't need to bombard your card with tons of embellishments. 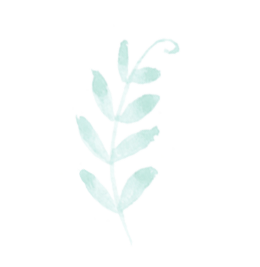 A ribbon or silver leaf is all the embellishment you need. And you only need a small amount of ribbon. 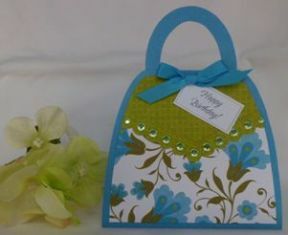 These handmade birthday cards have the same layout but feature different trim. 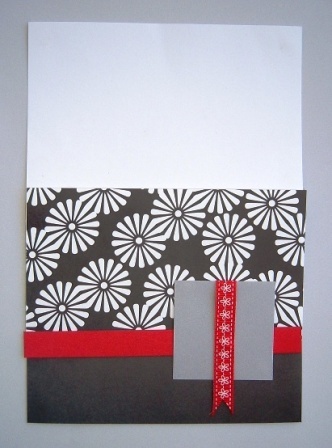 Card making doesn't have to be stressful so be relieved knowing you can make a handmade card in a matter of minutes. 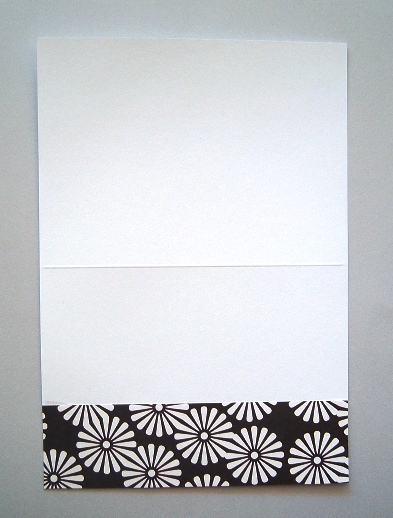 Black and white pattern paper are great staples to have in your supplies box. 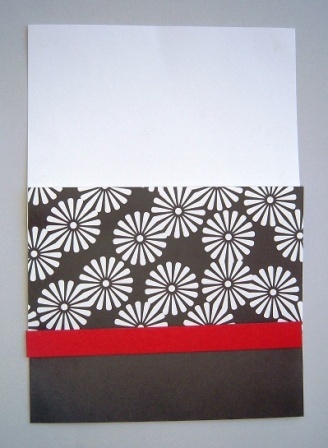 You can just about match them with any other color and with this card, I used red as an accent color. You can personalize the sentiment as well if you are using your computer to print your message out. Tape Section B paper flush along the bottom and side edges of white blank card. Tape Section A paper above Section B paper and flush along the side edges of card. Note: do not tape top portion of section A since it will need to be folded over towards the back before applying tape or glue. Cut bottom ribbon end as shown above. 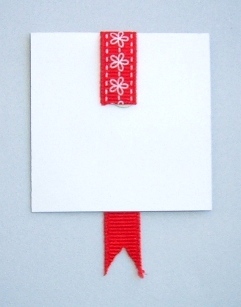 Center and tape ribbon onto grey paper, leaving approx ¾” hanging from bottom. Fold top end of ribbon towards back and tape. 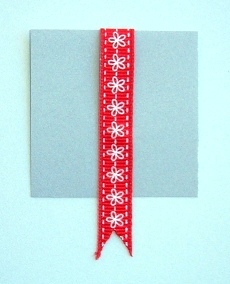 Center red paper over Section A and B paper and tape. 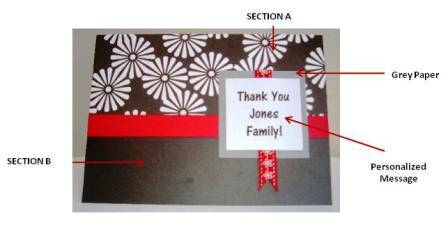 Trim along edges if there is some paper overlap on the card. Place grey paper about 1/2“ from right edge and 3/4“ from bottom and tape. 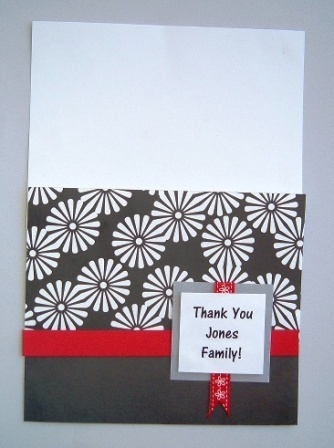 Center and tape personalized message over grey paper/ribbon and tape. 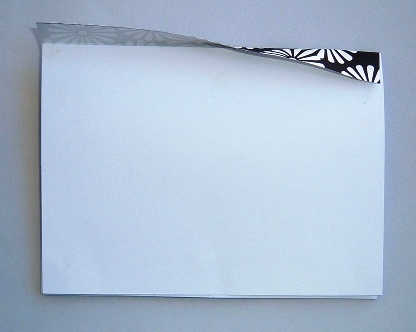 Fold card at score and fold front flap towards back of card and glue securely.